Writing is one of the four skills studied in the Indonesian language lesson. Unfortunately, many students find that it is difficult to make a short story. Writing needs the media to pull out ideas when the students write the short stories. This study aims to investigate the usage of the newspaper clipping media to improve the students’ short story writing skills. The research method employed was a quantitative approach with a quasi-experiment design and the new version of SPSS data analysis. The research was conducted from April to May 2017 at SKB Sumbawa regency. The findings showed that (1) by using the newspaper clipping media, there was a significant improvement of the package C (equal to Senior High School Level) students’ short story writing skills in SKB Sumbawa regency, (2) there was an increase of the post-test result to 80% (Good), (3) the result of t-test was 13.253>1ttable=2.021 which meant that there was a significant correlation of using the newspaper clipping media (x1) to the short story writing skill (x2). Based on the research the result, it is suggested that (1) it is important to use the newspaper clipping media in the writing lesson, (2) a joyful learning should use a media and (3) the usage of the newspaper clipping media is strongly recommended to improve the package C (equal to Senior High School Level) students’ short story writing skill. Arsyad, A. (2003). Media pembelajaran. Jakarta: PT. Rajawali Pers. Aminuddin. (2014). Pengantar apresiasi karya sastra. Bandung: Sinar Baru Algensindo. Dalman, H. (2012). Keterampilan menulis. Jakarta: Raja Grafindo Persada. Daryanto. (2013). Media pembelajaran. Yogyakarta: Penerbit Gava Media. Kementerian Pendidikan dan Kebudayaan. (2014). 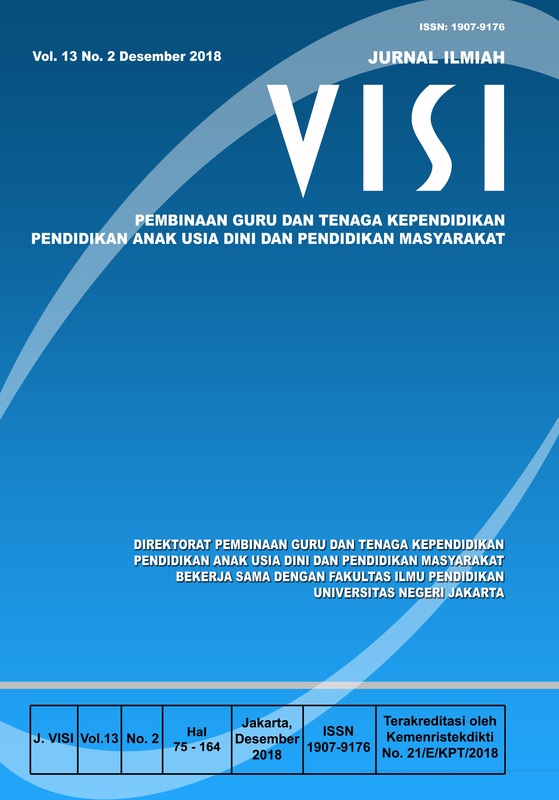 Buku siswa bahasa Indonesia ekspresi diri dan akademik (edisi revisi 2014). Jakarta: Pusat Kurikulum dan Pembukuan, Balitbang Kemdikbud. Poerwadarminta, W.J.S. (1986). ABC karang mengarang. Yogyakarta: U.P.Indonesia. Rani, A., Arifin, B., & Martunik. (2013). Analisis wacana: Tinjauan deskriptif. Malang: Surya Pena Gemilang. Syafi’ie, I. (1990). Pragmatik dalam pengajaran bahasa Indonesia dalam antilan purba (ed. Kepragmatikan). Medan: IKIP Medan. Tarigan, H.G. (2008). Menulis sebagai suatu keterampilan berbahasa. Bandung: Penerbit Angkasa. Wahidah. (2015). Efektivitas penggunaan model picture and picture dalam keterampilan menulis cerpen siswa kelas X SMA Islam Diponegoro Wagir tahun ajaran 2014/2015. Skripsi. Malang: Universitas Islam Malang. Wahyuni, S., & Ibrahim, A.S. (2012). Asesmen pembelajaran bahasa. Malang: PT.Refika Adiatma.